As you know, the Muddy visage has not yet succumbed to any botox, filler or scalpel-led dibblings, and yes *shrug* you can probably tell. 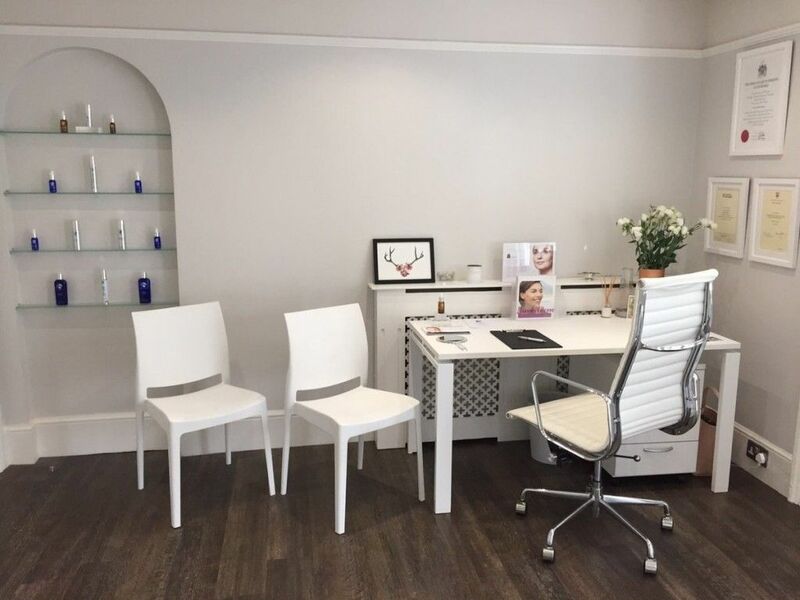 However, I am not a total martyr to natural ageing and am as happy as the next wrinkly to try various facials and treatments, particularly when they are performed at a clinic so shiny, so white, so slick, so utterly just so as S-Thetics in Beaconsfield. Not seen it? No, because the entrance is so discreet I walked past it twice. Just a plain black door under a covered side entrance, away from the main pavement thoroughfare. But looky inside, isn’t it swish? 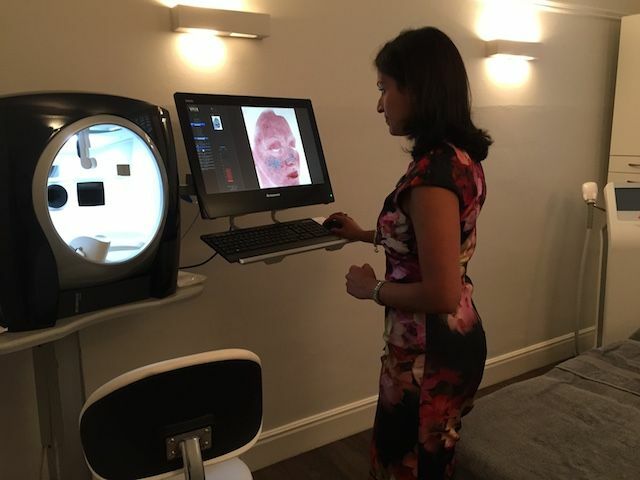 And no wonder, because the S in S-Thetics is Sherina Balaratnam, a fully-qualified former NHS surgeon with 6 years of plastic surgical training (she mainly performed reconstructive burn surgery and skin cancer reconstruction) who now focuses on non-invasive treatments, and has fashioned the clinic to be as female-friendly as possible. 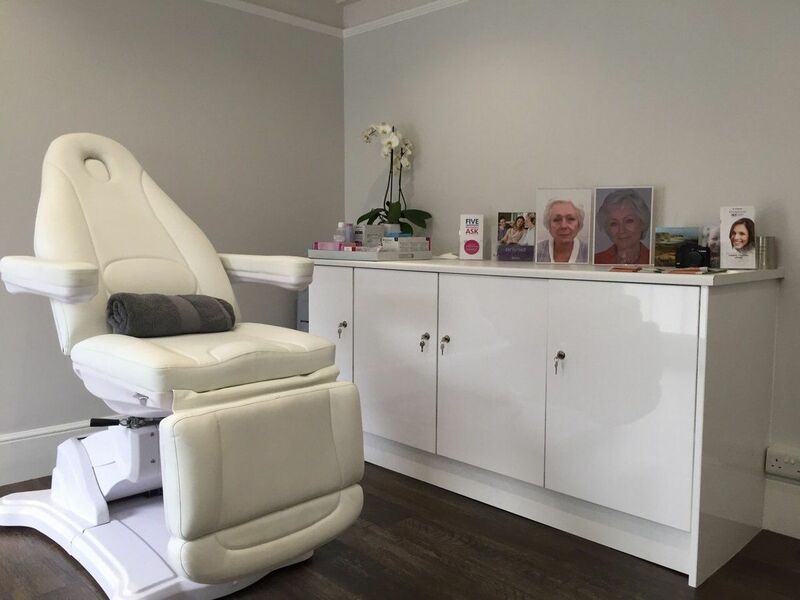 So the location is great, the clinic is cool – but what of the treatment? 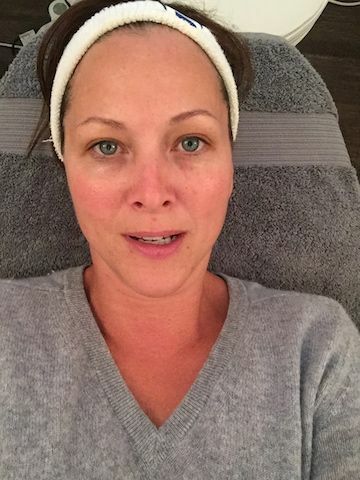 Actually I had two, but first I had the most fascinating skin consultation, like, ever. 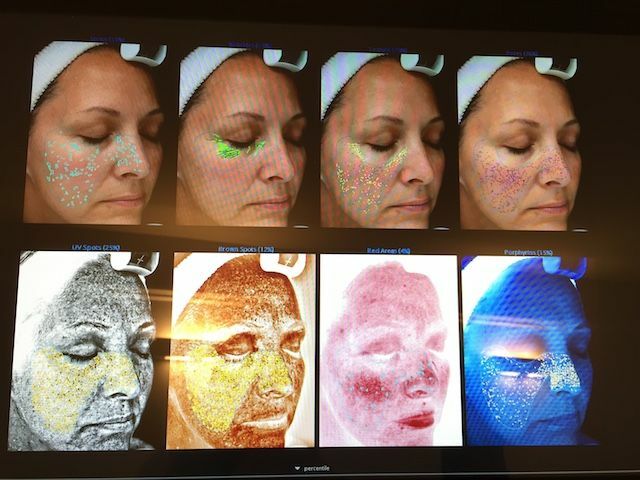 Because the machine (below) scans your face for everything – sun damage, heat, wrinkles, pores, texture, you name it. And you see yourself popping up on the screen in Andy Warhol-like colours as the machine reads your skin. The image on the bottom left is sun damage, thanks for asking! A teenage addiction to Body Shop coconut oil 1988 – 91 has assisted in me being in the worst 19% for UV spots of women my age. Oops. My wrinkles are average at 51%, heat in my face on my cheeks is the worst 4%. But hey, I have good skin texture. Let’s hold onto that! 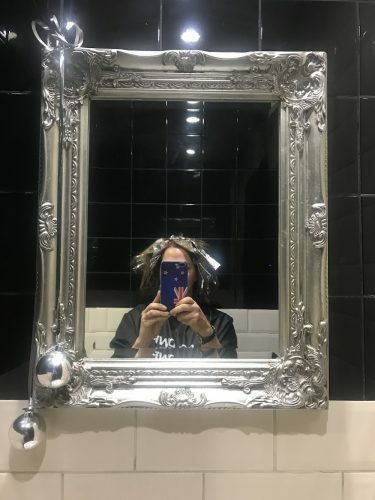 Though there’s a kind of dermatological gallows humour to seeing your face deconstructed like this, it’s clearly very useful for anyone treating you. 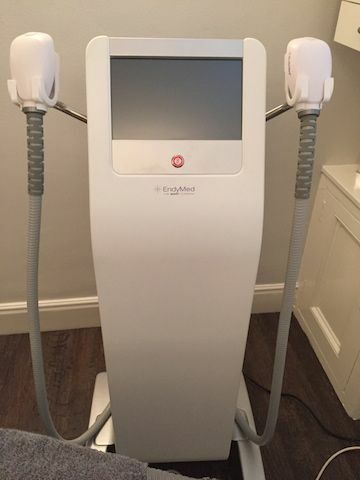 I had the EndyMed 3DEEP skin tightening treatment – basically radiowaves that heat the deep dermal layer of the skin, stimulating collagen stimulation and tightening the skin – but Sherina deliberately avoided my cheeks because she had the evidence of how sensitive they were to heat. But I tell you what, this machine was amazing. 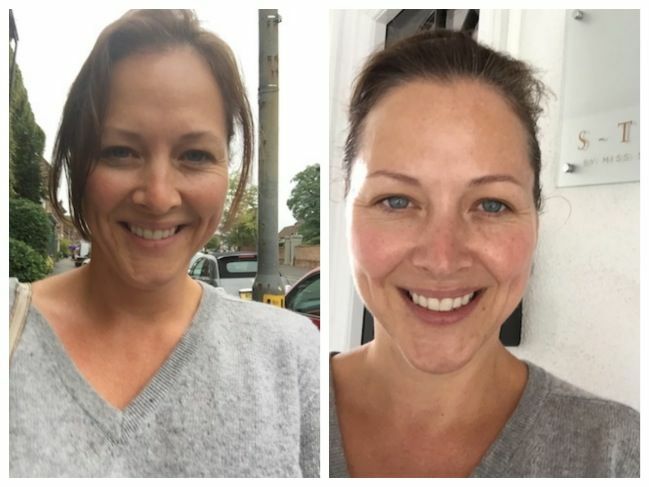 I had one side of my face done, around the jowls (for let’s call a spade a spade, the Muddy double chin is back with a vengeance), and I swear to God, I looked in the mirror and you could see the side that had been zapped was more taut than the other. Clear as day. (Before you ask, I did get it balanced up by the end of the treatment). Usually you have several treatments, rather than just the one, so it’s definitely a good shout if you’re worried about things sagging. Then it was onto Fire and Ice which I know sounds a bit like some kind of awful satellite TV skating show, but is in fact an Intense Resurfacing Masque (so much better than a regular Mask, don’t you think? ), which is basically when you can freak out your therapist by screaming ‘Arghhhhh, I’m melting! 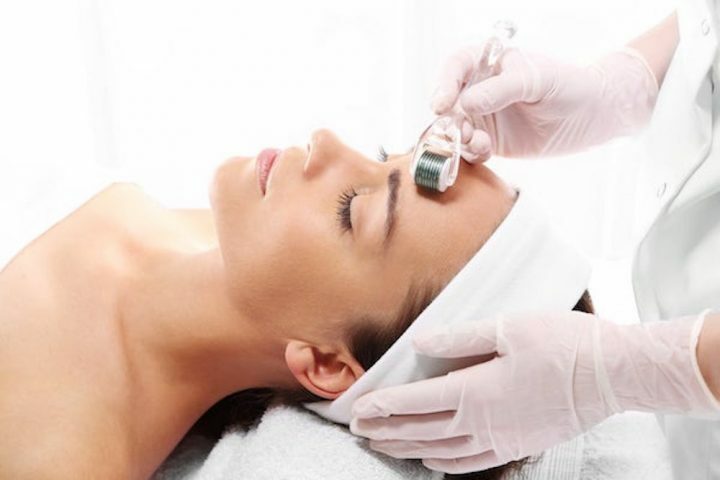 !’ as they put 18% unbuffered glycolic acid, citric acid, lactic acid, malic acid, vitamin B3, retinol and potent antioxidants, including green tea extracts onto your face, neck and décolleté. It doesn’t hurt at all actually, just makes you feel a bit tingly for the 5 minutes it’s applied. 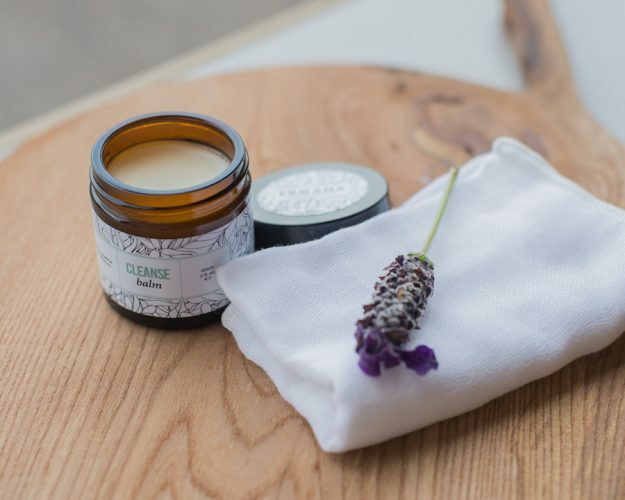 Then they slap on the ‘ice’ bit – a cool, hydrating masque with hyaluronic acid, Japanese green tea extracts, aloe vera gel, liquorice extracts, rosemary extracts and grape seed extracts, followed by a cleanse, serum and sunscreen. All I can tell you is that I looked a lot better than before. And, er, bigger too – sorry, can’t get the headshots the same size *sigh*. Prices you say? Ah yes. 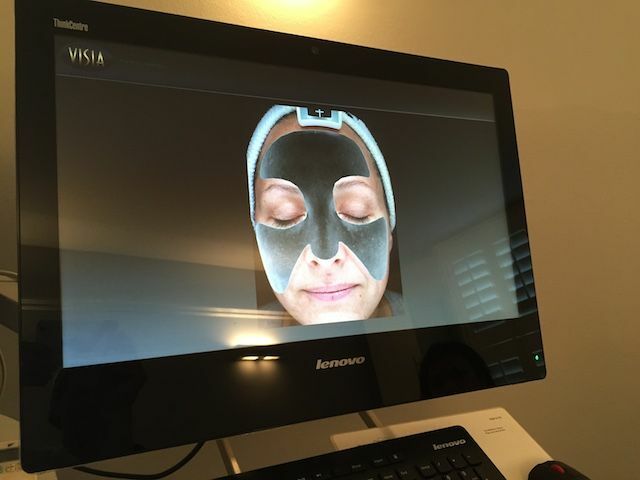 Well, I think it’s fair to say that there’s a premium for Sherina ironing out your wrinkles, treating your acne, tightening your you-know-what (I’m not kidding!!) and getting jiggy with the EndyMed 3DEEP machine. But on the evidence of my treatments, I’d say she’s totally worth it.